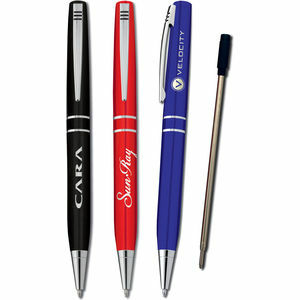 A contempory styled metal ballpen in brushed stainless steel or gloss black, red or blue laquer with bright nickel fittings. 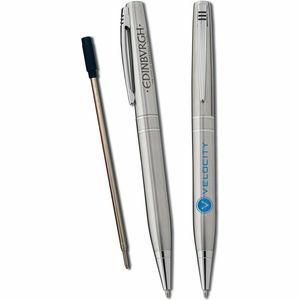 Suitable for both screen printing and laser engraving. 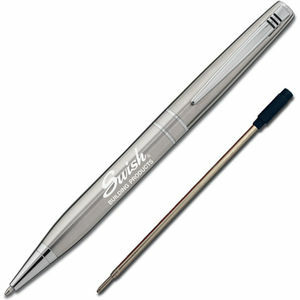 An Iron grey is produced on the brush stainless steel finish and a steel grey on the gloss laquer finishes. 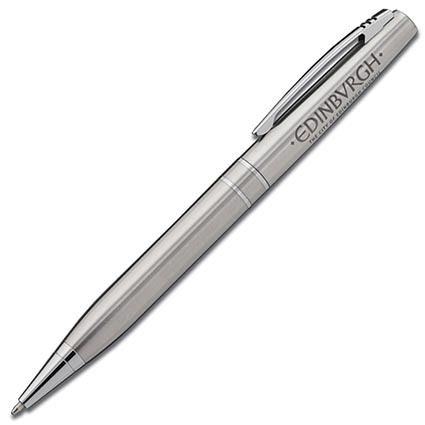 This pen has black ink and a supplied with a metal Cross style ink refill.